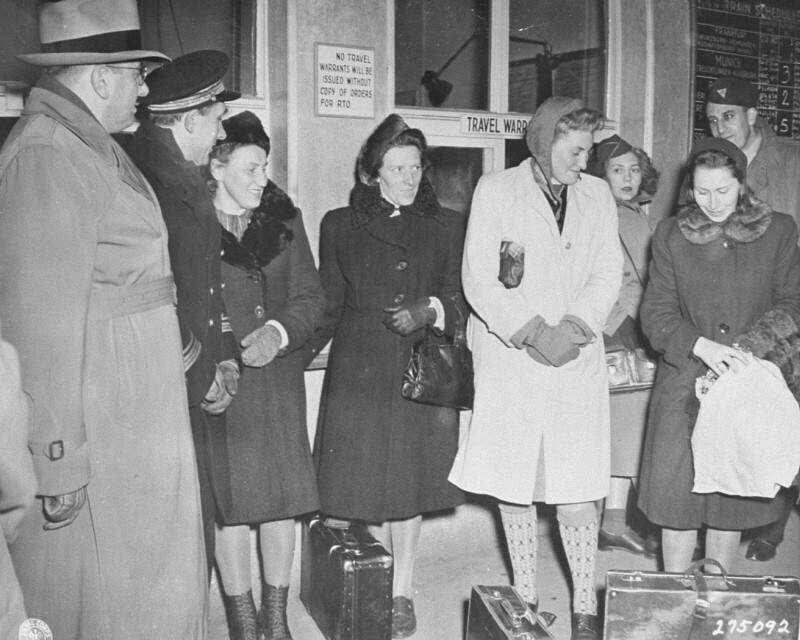 Four Polish women arrive at the Nuremberg train station to serve as prosecution witnesses at the Doctors Trial. From left to right are Jadwiga Dzido, Maria Broel-Plater, Maria Kusmierczuk, and Wladislawa Karolewska. December 15, 1946.